The New Day Financial story (read the analysis here) which broke several weeks ago suggested that the industry needs to state some obvious things, like "you must take your own training" and "taking training for someone else, or letting someone else take your training, is fraud. Such activity is subject to disciplinary action, including termination." In addition, several New York State Banking Department licensed lenders were asked to provide a summary of their employee training and compliance monitoring policy. This update also addresses that need. The sample policy is not a stand-alone training policy, because the complete training contents, timing and procedure for administering it varies based on position and function. So this policy highlights all of the elements that should be contained within your own training program. For instance within originator policies and procedures, there is a comprehensive SAFE Act Training policy. Within Compliance, there are various Federal Compliance Training Requirements. Within the Quality Control Plan, there is training on Fraud and Anti-Money-Laundering. And so on. Download the policy here, and insert it in your Compliance Module under Employment, Hiring and Training. As a customer, you are entitled to receive these updates, but we get a lot of questions from people who don't get the e-mails. You will drop off the e-mail list if 1.) your e-mail bounces, 2.) if you provide a non-company e-mail address in favor of a webmail provider (such as google, yahoo, aol, etc - we'll scrub you from the list after 1 or two mailings; the reason - too many spam reports even though we know you signed up to get the e-mails.) Sometimes you didn't sign up correctly. If you follow us, we'll follow you, and that's good for all of us! We are seeing a lot of demand for new loan officer training. This is the 2014 version of our product. 2015 edition with TRID material is coming in July. YES! We offer product knowledge and NON-NMLS training for all employees. 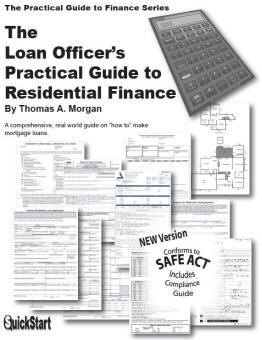 Copyright © 2015 MortgageManuals.com, All rights reserved.